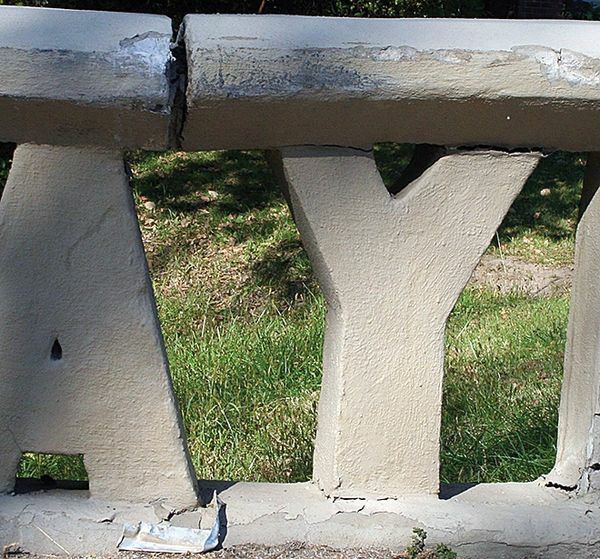 The Tama News Herald Toledo Chronicle is reporting this morning that an early morning accident on October 11 dislodged the letter "Y" in the north railing of the Mud Creek Bridge in Tama. The letter is one of the balustrades that spell "LINCOLN HIGHWAY" on the railings of the iconic bridge. They further report that the damage may have been caused by a chrome bumper or chrome wheels because there are no paint scrapes on the letter or the railing itself. Authorities say the bridge recently underwent structural analysis and they believe insurance should cover the cost of repairs. Hey, works for me. I am just glad to have him back. He always had some good contributions, both serious and humorous. J.R. Manning is ALIVE!!! Story at 11:00! Obviously a bad deal...that being said it is great to have J.R. posting again.